Sometimes I can be extremely impulsive. More often than not, I overthink things to the point of being unable to make a decision – especially when it comes to spending money. I can talk myself out of pretty much any purchase. Though I guess this probably isn’t actually a bad thing. Without that ability, I would own a lot more shoes. 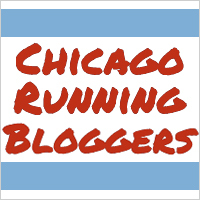 But sometimes, I act completely on impulse: like that time Run Rock n Roll offered a $29 leap-day discount and I decided “What the hell, let’s run the Chicago race in July.” Or that time I decided to start a new blog. Or that time I bought a new bread machine. Yep, I bought a new bread machine. Over the weekend I made homemade whole wheat hamburger buns. During the mix/ knead cycle, my trusty old Breadman started to sound like a Gremlin was trying to escape. Gremlins pretty much terrify me so I thought maybe Breadman needed to be put to rest. I hopped on Amazon and less than 10 minutes later this guy was ordered. So friends, I would like to introduce you all to Panem. I haven’t actually used Panem to make anything yet, but I have no doubt there will be lots of carb-tastic fun in our future together. I didn’t do a ton of research before buying this – after all, I spent less than 10 minutes on Amazon before I clicked “Buy” – but the reviews for this model were good, the price was right, and it’s the same brand as my old bread machine which has definitely stood the test of time. It also has a horizontal loaf pan which I was looking for as well as a 13-hour delay timer which I’m pretty excited to try out. I mean, how badass would it be to come home from work to a fresh baked loaf of bread? So stay tuned for all my future adventures in bread making, and hopefully I’ll be successful in hamburger bun making too!